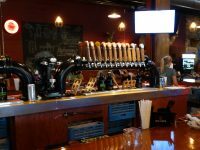 Originally in Eau Claire, Northwoods Brew Pub moved into a massive former condensery in Osseo in April, 2016 and now sports an incredibly impressive space featuring its brewery operations, full restaurant with a front patio, and bars on two levels with event space that rivals anything we’ve seen in Milwaukee or Madison. 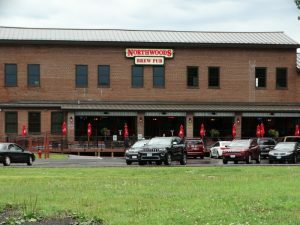 Northwoods Brew Pub’s new building is gi-normous. During World Wars I & II, this place was a condensery. and – lest you think we’re getting too light here – Kelly’s Stout. 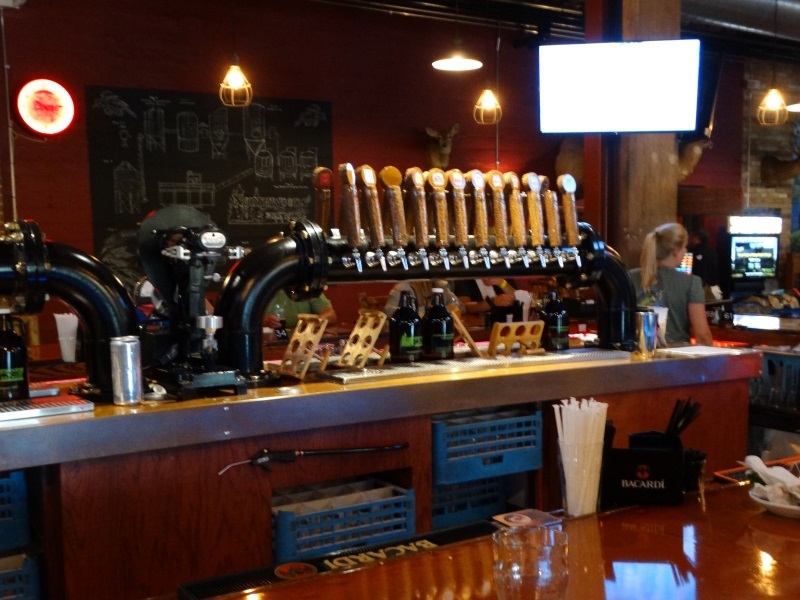 They add seasonals here and there including a Ripplin’ Red Raspberry Wheat (from mid-May ’til it’s gone), their Chippewa Valley Oktoberfest Lager (available in fall – you know, around Oktoberfest time), their Buckshot Buck in February, and more. 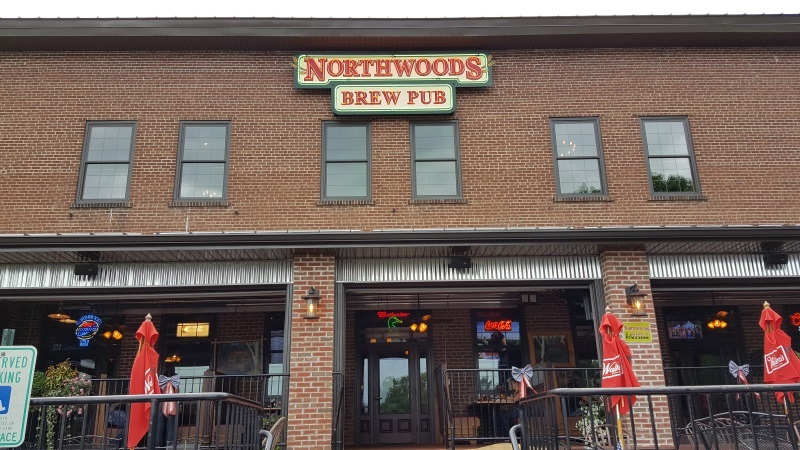 Northwoods offers tours of their brewing facilities. They’re open seven days a week at 11am. Their closing times are 10pm Monday through Thursday, 11pm Friday and Saturday, and 8pm on Sunday. Winter and holiday hours can vary; call 715-597-1828 for updates. Their main brewery, bar, and restaurant is located on the main floor, but worth a look (at the very least) are the beautiful second and third levels. With original wood floors, sandblasted brick, original ceilings, and impressive new bar facilities, they’ve made the most of this solid old building. 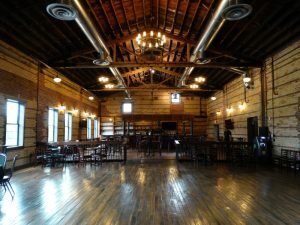 Part of second floor event space at Northwoods Brew Pub. 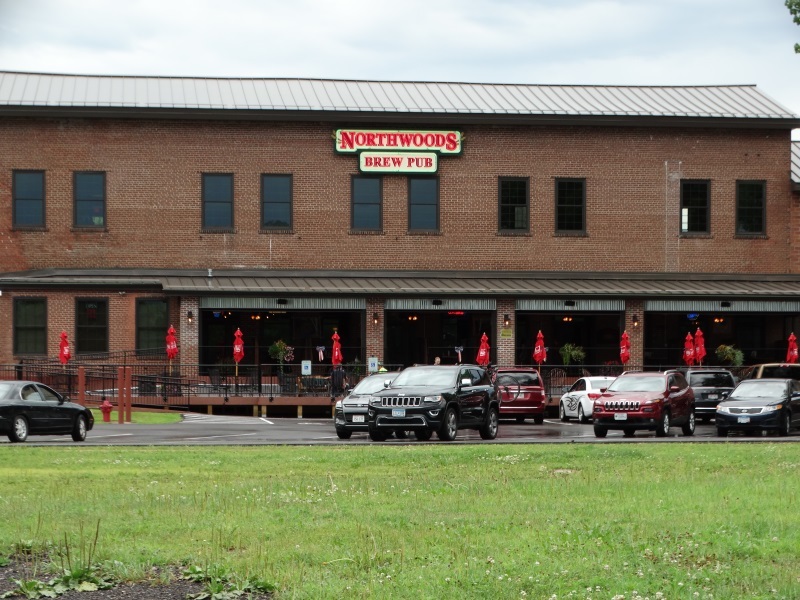 You’ll find Northwoods Brew Pub one block north of U.S. 10/53 on West Street, just west of Osseo’s downtown (the other big attraction in town, the Norske Nook, is less than half a mile away.) I-94 travelers reach Osseo via Exit 88 (U.S. 10) and going west about one mile and then one block north on West Street. The Buffalo River State Park Trail runs right past the building.